So this is just a post about some of the things I've been loving in the month of July. I'll start of with the FASHION side. We all have the 'all time favorites' that you always reach for whenever you don't know what to wear. I got this really cute top a while ago in Select for about £3 in sale. Since it's been getting really warm I've been wearing this top so much. MAKEUP has been a recent interest of mine. I started of this blog thinking it was going to be mostly fashion yet makeup has been a main focus so far. So this month I've developed a big interest in it and here is what I've been spending my money on (and loving it). 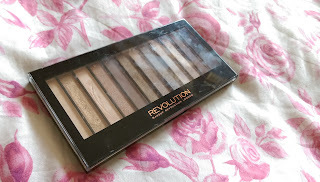 I purchased the Revolution Redemption Palette Iconic 2, which if you don't know is a dupe for the Naked 2 palette. The Naked 2 palette is basically an eye shadow palette by Urban Decay which costs about £30-40 depending where you buy it. I got the dupe recently and I love it so much. I got it for just £4 which for me was a HUGE bargain. 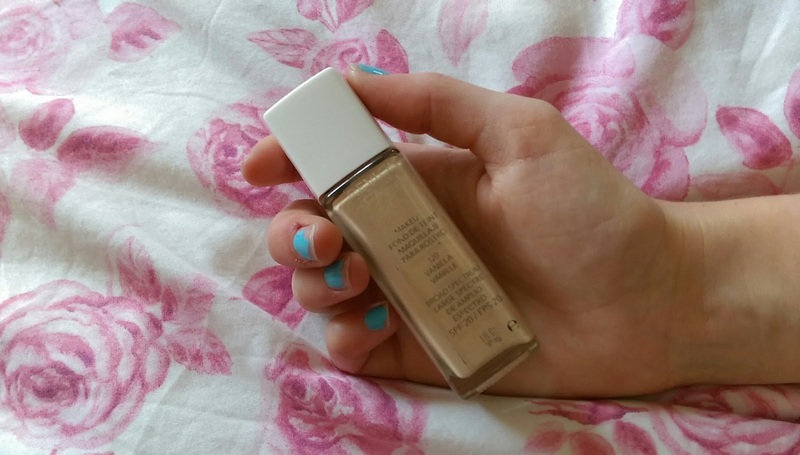 I also wanted to mention a recent foundation that has been recommended by the youtuber Essie Button. It's the Revlon Nearly Naked foundation. Its so great! As the tittle suggests, it's a light coverage foundation which gives a fab natural look. Lastly I'm going to include to Garnier Smoothing toner. I've recently done a post about my toner discovery so I definitely had to include it in my faves. I won't go too much detail into it but it basically made my face baby smooth and who doesn't want that? Now I have to mention some LUSH GOODIES. My boyfriend recently got me some bath bombs (I'm obsessed with bath bombs) and I wanted to include them in the favorites. I had Granny Takes a Dip (picture on the left) which was an awesome bath bomb which made my bath really pink and I love pink. I also got the Dragon Egg. I looove colourful baths so I absolutely loved these ones. I have to put the Dragon Egg in at least my top five bath bombs. 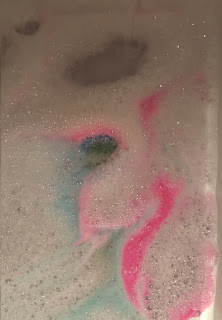 The bath bomb,although on the outside looks plain, on the inside it's full of surprises. The different colours mix together wonderfully in the bath creating a gold shade. It was also quite foamy which created lush bubbles. The popping candy was another feature which created an exciting bath experience. I personally like the bath bombs because its something different. I take baths everyday so using a bath bomb just makes the bath a little more exciting (I still love baths though). 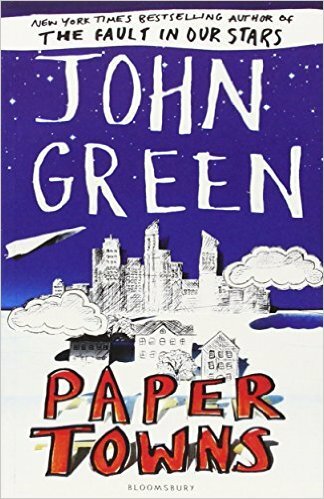 I also wanted to mention a BOOK that I've read recently. 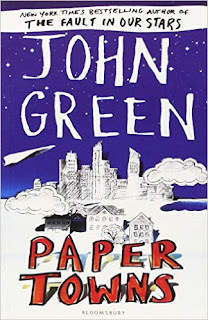 Its called Paper Towns and it's written by John Green. I read it when I went away on holiday and it was a very strange experience. I went through stages of hating it because of certain evens and stages of loving the underlying messages of it. Nonetheless (without giving away too many spoilers) it was still a favourite of the month and is definitely worth a read before the film comes out. The last area I wanted to go into is my favourite YOUTUBERS. I really enjoy writing for this blog. I'm clearly not the best at it however it gives me an opportunity to talk about something I enjoy like fashion and makeup. Youtube is where bloggers have taken to recently and it's all about the vlogging now so watching them has given me a lot of inspiration for some posts. My most favourite youtuber recently has been LaMadelynn as she's cute and quirky. She does a lot of DIY's and in general has an awesome style. My second favourite has been Ingrid Nilsen. She's probably one of the first youtubers I started to watch when I got into this whole thing. I started to watch her makeup tutorials but also her packing videos, she just really stands out from other youtubers. And to wrap this post up, I present Wengie! She's an Asian beauty youtuber who does a lot of different things from tutorials to hauls to how she got her eyebrows tattooed. It's all really interesting to watch and she has the cutest voice ever. Just to put it out there... She's nearly 30! To be honest I thought she was 18. Anyhow, I hope this was somehow interesting, I found it really fun to write and give out some recommendations. 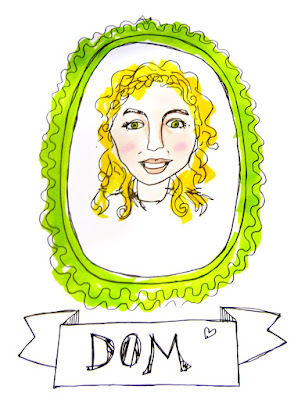 Hi love, Your blog is great! Thanks so much for looking for inspiration on PinkLuxpl!